One of the best things about India is the wide variety of geographical features and climates that the country offers. 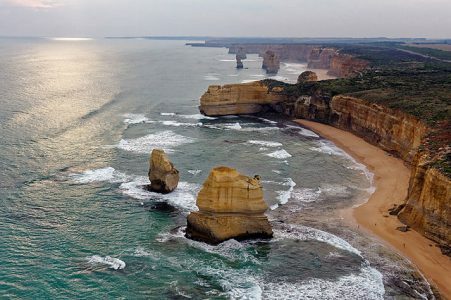 From the deserts of Rajasthan to the Himalayan mountains to the pristine beaches of Andaman and Nicobar Islands, few countries in the world, if any, can boast of such variety. It’s not surprising that India is a pretty good destination for adventure sports enthusiasts as you can easily find many adventure places in India where you can enjoy yourself to the fullest. Although it has taken a bit of time to gain a foothold, adventure sports in India are becoming increasingly popular. 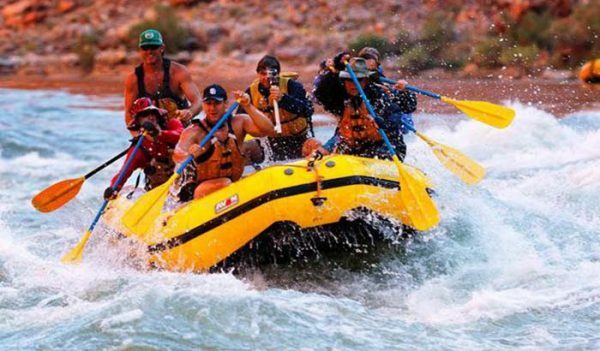 Here are some of the best adventure sports that can give you an adrenaline rush. To the east of the Indian mainland, in the blues of the Bay of Bengal, floats the splendid group of the Islands of Andaman and Nicobar which are the best adventure places in India and are a hotspot for adventure junkies. 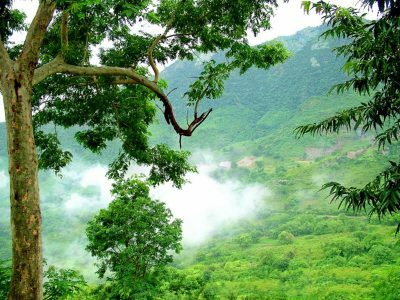 Its majestic forests and exotic flora and fauna are sure to take your breath away. It is home to animals like the spotted deer, wild boar, gecko, crab-eating macaque, and pythons. Its glistening white beaches are also nesting homes to a variety of sea turtles. The elegance of the crystal-clear blue waters, incredible corals and the myriad creatures that inhabit the ocean leave you spellbound. The best adventure sports in these islands are mostly water based for obvious reasons and here are the best things to do In Andaman. Snorkeling involves observing the underwater depths with the aid of a diving mask, a snorkel and, sometimes with swimfins usually under shallow waters. This popular water sport appeals every adventure lover to observe underwater marine life at its most natural setting and Andaman Island offers just that. To experience the magical underwater world, the islands of Andaman and Havelock offers marine lovers with long hours of gazing at the colorful coral reefs. The Elephant Beach in Havelock Island offers crystal clear shallow waters best for snorkeling. You will be amazed to witness the reefs to be in pristine condition with corals shaped in flowers. 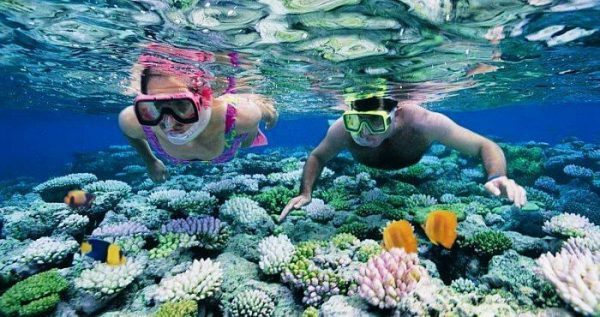 Other destinations for snorkeling in Andaman are in North Bay Island located about an hour away from Port Blair. Jet Skiing in Andaman is one of the best things to do in Andaman and Nicobar Islands if you are looking for an exciting experience here. The act of zooming around in challenging sea waters surely gives you a high adrenaline rush. This water sport does not involve any training, but you should be able to handle the speeding jet skiing, over the waves. Where: Rajiv Gandhi Water Sports Complex, Port Blair. Swimming across colorful corals beautifully patterned fishes, and seabed gardens in silent-as-night waters – that’s scuba diving in Andaman for you. Large coral reefs, an assortment of marine life and the calm blue waters of the Bay of Bengal all make the name “Emerald Isle” highly suitable for the Andamans. High blood pressure patients are not recommended to try this. 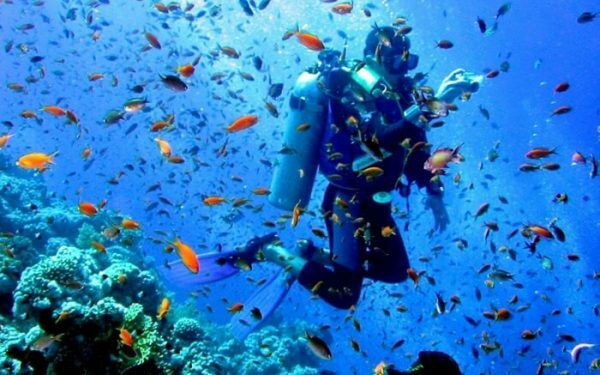 Some of the best places for scuba diving in Andaman are in Havelock Islands which include – Lighthouse, Aquarium, Mac Point, Barracuda city and seduction point. Another place where you can have a great diving experience is on Neil island. 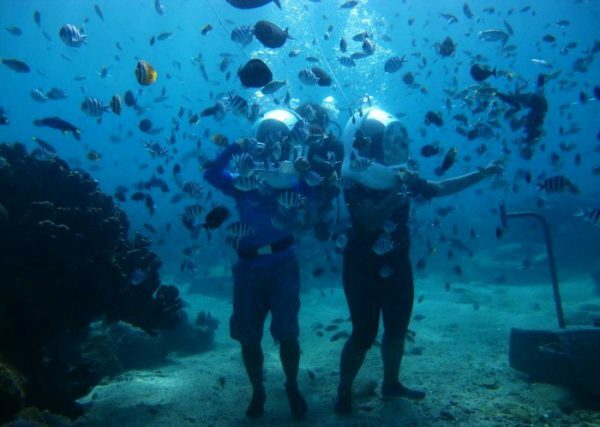 If you are hesitant to try snorkeling or scuba diving in the Andaman & Nicobar Islands yet looking for something more exciting than taking a tour in a glass bottom boat, then undersea walk or helmet diving is just the thing for you. Even non-swimmers can try the sea walk. Sea walking in Andaman & Nicobar Islands or helmet diving (helmet walking) is conducted at North Bay Beach near Port Blair and at Elephant Beach in Havelock Island. 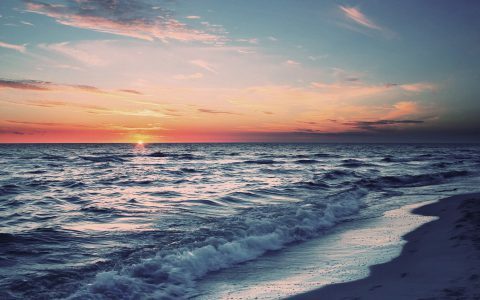 Here, you will walk on the sea floor at a maximum depth of seven meters during high tide and in calm water. Walking between corals, seeing the variety of fish, and discovering the rich sea life underwater in the crystal-clear blue water of the lagoon is the most enriching experience. Ladakh is a land of possibility and bursting with adventure. Simply driving through the empty roads is an act which sends adrenaline levels shooting, and the sight of the stalwart mountains and bare cliffs adds further to the thrill of experiencing Ladakh. But for those who want more adventure from the mountains, there are plenty of things to do in Ladakh which fit the bill. From trekking to rock climbing to camping to river rafting, Ladakh has a host of adventure sports which delight the heart and invigorate the mind. 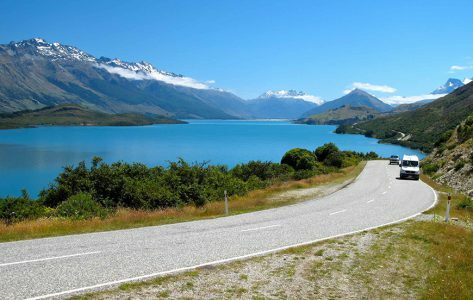 To make this a memorable trip you need to hire a car rental in Delhi, traverse the arduous route and reach your destination i.e, Ladakh. Mountain biking in India is an incredibly exciting adventure. 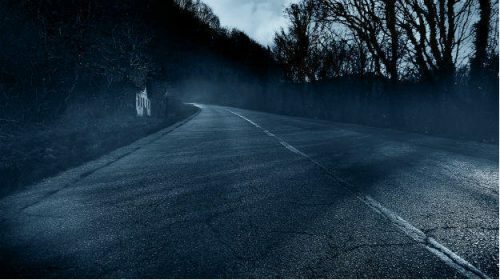 In the dizzying altitudes of the barren cold desert, riding on your bicycle on the rising and falling roads is a pure dose of adrenalin. Ladakh is called the ‘Cradle of Adventure’. Mountain Biking in Ladakh offers an exhilarating opportunity of cycling through the highest mountain range in the world, the Himalayas, and the Karakoram. The spectacular beauty of snowcapped mountains, fascinating Buddhist Gompas, and charming local villages are added pleasures as you traverse on your bike. To bike the Zig-Zag roads in Ladakh, one needs to be technically perfect. 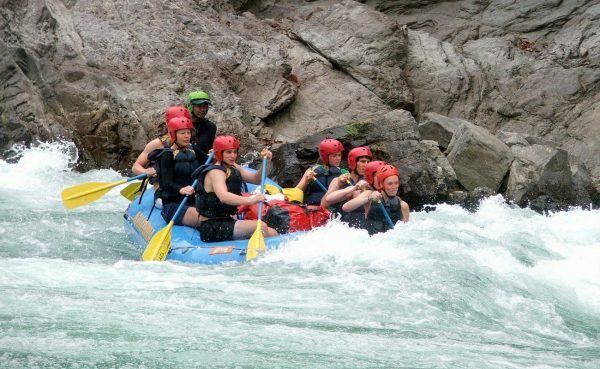 Rafting in India is largely associated with Rishikesh only. Not everyone is aware of the rafting opportunities in Ladakh. Rafting can be enjoyed in the Indus or Zanskar River. These rivers offer from simplest forms of rafting to the most difficult forms. June to August is the best time to enjoy the white waters of the said rivers. 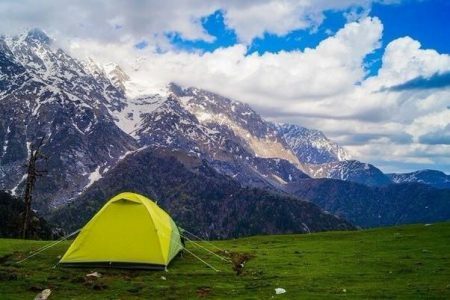 Glide on the famous ‘thermals’ around here and drink in the gorgeous views of the Kangra and Chamba valleys, and the brooding majesty of the Dhauladhar range. The beautiful village of Bir, known for its colony of Tibetan refugees, is encircled by tea terraces and some stunning scenery, with the snow-capped peaks at its back – nature at her most attractive. With so much of natural beauty, it offers one of the best places for adventure sports where you can explore the beauty in the most exciting ways. Hire a car rental in Delhi and reach Bir Billing comfortably. If you are looking for trekking places in India, then Bir Billing trek is one of the best you will find. Trekking is considered easy. The trek passes through a dense forest of Deodara, Rhododendron, blue pine, green Oak, Brown Oak, and silver fir trees. Easy trek for 2-3 hr to reach Channa Ghat mod, climb to Channa ghat ridge for a viewpoint. Open ridge for relaxing and taking photos of mountain ranges on the other side. Channa has a tea shop with Maggi. You can spend some time and return back to Billing. Channa ridge has a view of Barot valley, Chota Bhangal valley, Thamsar valley, Kangra valley all the way down. Bir Billing one of the best places paragliding in India, is no less than experiencing what being a bird feels like. 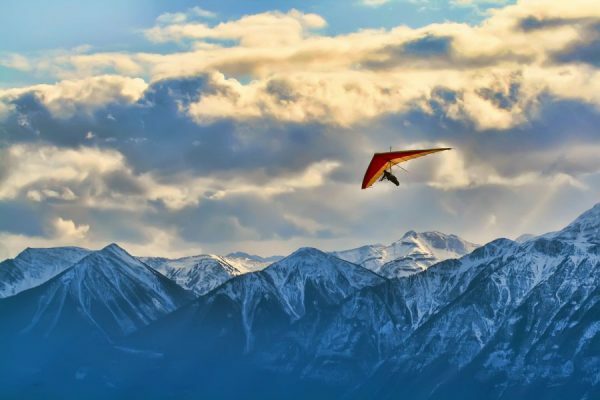 Bir Billing is a small village in Himachal Pradesh, famed for hosting the first ever world cup for paragliding. Himachal is ‘the’ home to paragliding in India. With a total of 11 best paragliding spots, this hilly state offers multiple options. 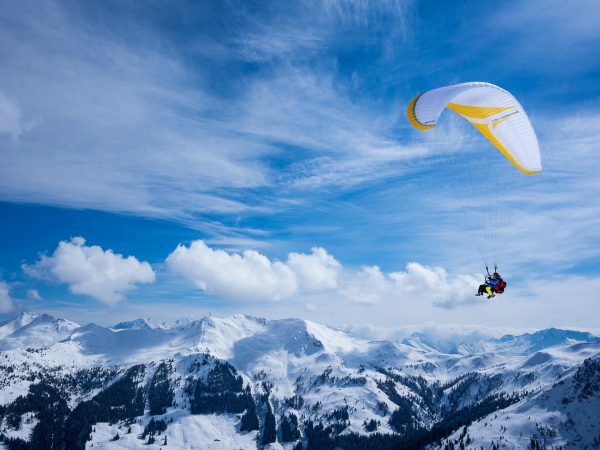 Other places famous for paragliding in Himachal are Devidhar, Parvati Valley, Rohtang, and Bakhli. 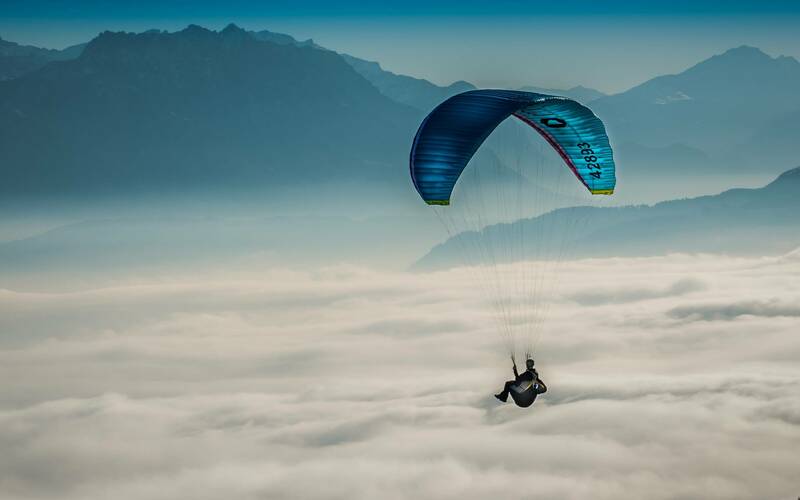 If you are acquainted with the term gliding, paragliding is just about adding wings to your jump. It is a glide that uses an inflated wing (nylon canopy) of an aerofoil shape–just like any other pair of wings. Hand gliding in India is relatively a new adventure sport is relatively new in the field of leisure. The glider is motor-less and mainly driven by air currents and body weight of the glider. You have to maneuvere the glider through your body movements. However, for tourists, the gliding experience is done by hitchhiking with the instructor. As one of the premier and upcoming ski resorts of the country, there are plenty of fun things to do in Auli. Situated in the upper Himalayas in the state of Uttarakhand, Auli has emerged out to be the new favourite skiing destination for Indians and for foreigners. 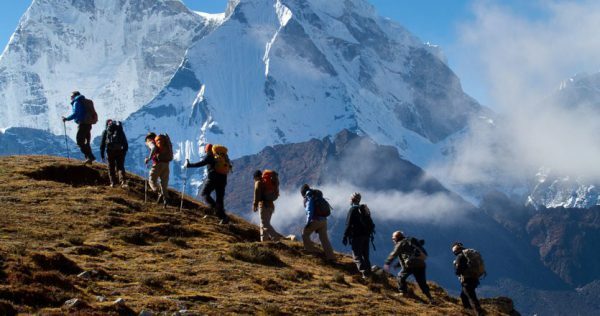 Apart from this, another adventurous activity that you can take here is trekking. The most famous treks that you can take here are the Auli Gorson Trek and the Trek to Kuari Pass. You can also try river rafting along the Alaknanda river. During winters the mountains of Auli are snow-capped with as thick as 3m deep snow which happens generally in the months of January to March. It’s the best time for skiing in Auli, down the mountains and get a panoramic view of mountain peaks like Nanda Devi, Kamet, and Dunagiri or you can just simply watch the locals zip past you in their skis at high speeds. 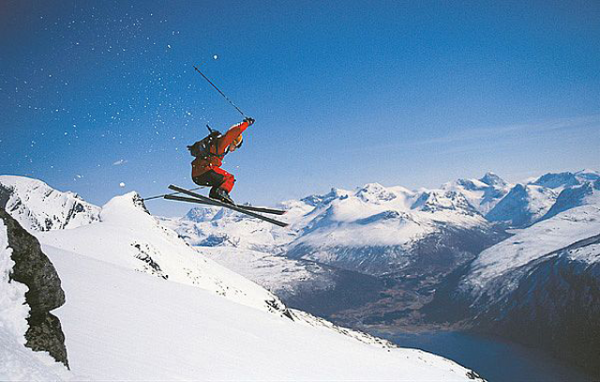 Skiing championships are also organized by Winter Games Federation of India. Auli offers some of the finest slopes of the Himalayan range where you can trek. 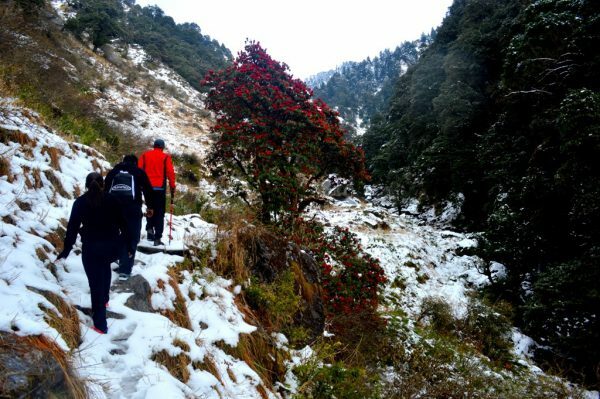 Peaks ranging from about 2500 to 3000 m, Auli has some well-defined trekking routes for trekking enthusiasts. You can trek up to Himalayan peaks such as Nanda Devi, Kamet, Mana Parvat, Dunagiri, and Joshimath from Auli. Other smaller trekking ranges are Gordon, Tali, Kuari Pass, Khulara, and Tapovan. River Rafting on Alaknanda River in Auli is a unique and thrilling way of experiencing the beauty of the Himalayas and its pristine rivers. Alaknanda is one of the main tributaries of the Ganges and it provides great opportunities for rafting. Alaknanda is one of India’s most popular rivers for rafting and attracts rafters from all over the world. The lush green surroundings and the majestic Himalayas around the rafting route offer a scenic and energetic experience. Pushkar is the ideal place for you to visit if you love the color, camels, and sand all combined to form a town that has an amazing personality. Bordering the Thar Desert, this town is set on Pushkar Lake, a revered site for many Hindu followers, and if you visit this place, you will get to see several pilgrims bathe in the waters before offering their prayers to the Gods. But that’s not all that Pushkar has to offer. It’s a fabulous place for adventure sports too for an adventure junkie. The best way to reach Pushkar is by hiring a car rental in Delhi. 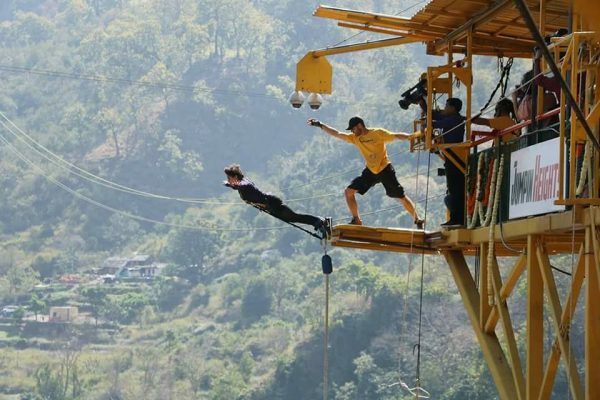 Bungee jumping is an activity that involves jumping from a tall structure while connected to a large elastic cord. This daring sport requires a lot of guts but once you’ve successfully completed the jump then you can come out feeling like a victorious Tiger. Go for paragliding in Pushkar for a breathtaking view of the Northern Plains and the deserts of Rajasthan. 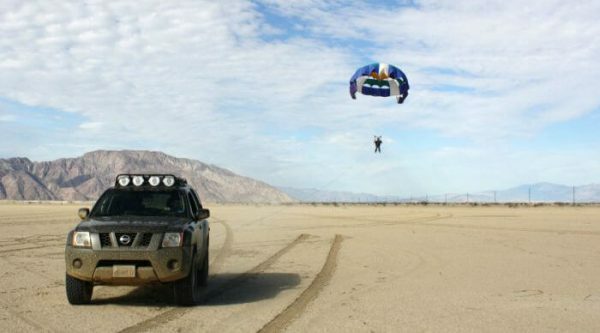 You are attached to the back of a vehicle using a rope while you dangle up 50-100 feet up in the air. From this height, you get to see a Birdseye view of the local scenery. Biking is fun but quad biking takes it to the next level. If you are a bike lover than biking through the desert sands without any traffic around should be there on your list. 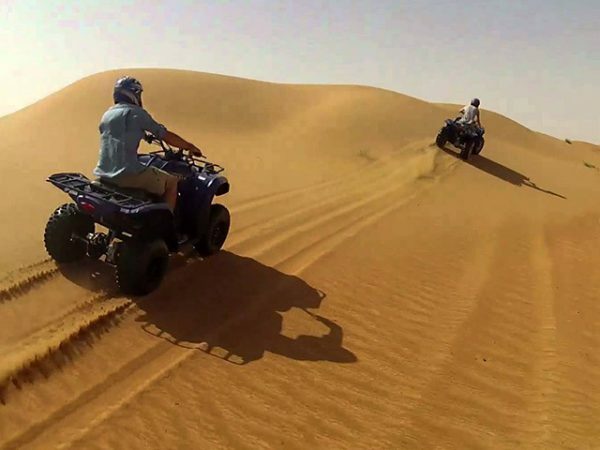 Enjoy the cityscape and lastly drive through the curves of the sand dunes for a memorable experience. You can choose your quad bike as you please. A lot of foot fall can be seen for quad biking in India. 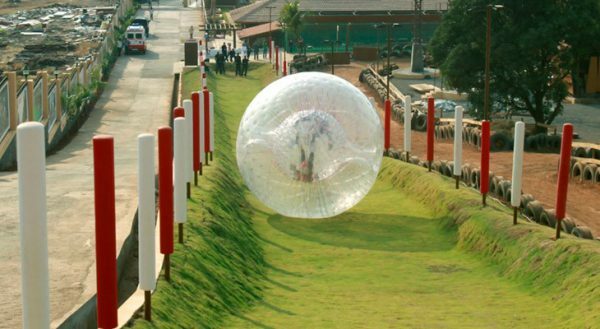 Roll down on a gently inclined path in cushioned giant plastic ball tied securely at one end. Have fun as you rumble & tumble down. This sport has been gaining popularity late and can be done in different fashion like the plastic ball can be rolled downhill, can be thrown in the water to float or even can be worn by people to indulge in a friendly fight. 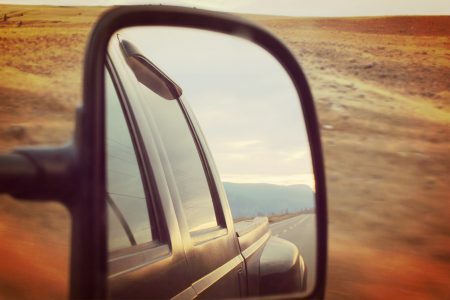 Book your car rental in India here.